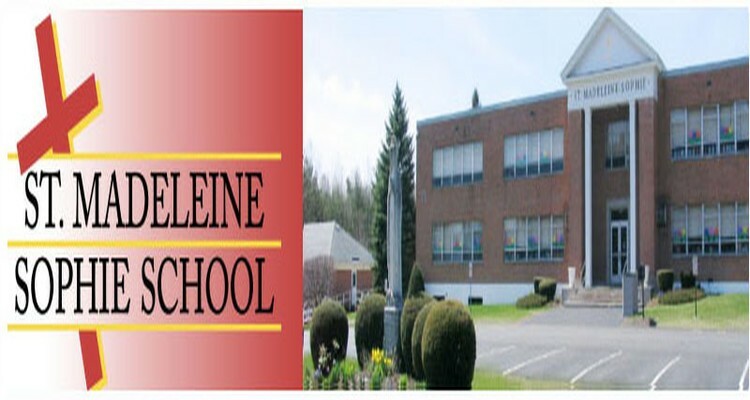 St. Madeleine Sophie School in Guilderland has proudly provided Excellence in Education for over 50 years. 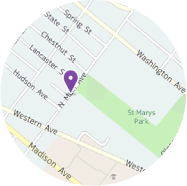 Our campus is comprised of our school, church, Parish Hall, Parish Center/Gym and playground. Our state-of-the-art technology enhances our students’ education through the use of a computer lab, interactive whiteboards and computers in every classroom including Pre-K.
St. Madeleine Sophie students (Pre-K through Grade 5) participate in a wide variety of Extracurricular Activities which include: Student Council, ski club, drama club (with one production each year with casts of 50 or more students), cooking club, bowling, dance and movement class, homework room, instrument lessons and after-school band for grades 3-5. Our annual school-wide Advent and Lenten Retreats, led by 5th grade students, enrich the spirituality of each retreatant. We offer two academic Pre-K programs. We have both full time and part time programs for three and four year old children. St. Madeleine Sophie School’s strong commitment to service to others offers students many opportunities to support our parish community as well as the various communities in which we live. Our service projects include Pennies for Patients, Ronald McDonald House, Christ Child Society, the Soup Kitchen at St. John’s/St. Ann’s, Omni Senior Living Community Center, “Go Red” Day for the American Heart Association, City Mission and others. In today’s society, family values play a large part in how we raise our children. St. Madeleine Sophie School realizes and fully embraces the need for the priority of values in our children’s daily lives. We work to provide academic excellence by recognizing, respecting and nurturing the unique gifts of our students, enabling them to reach their full potential.